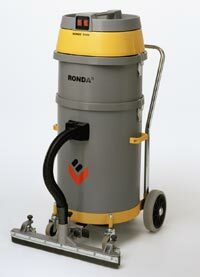 The Ronda 200 is a handy high-quality industrial vacuum cleaner approved for vacuuming fine and health-hazardous dust. 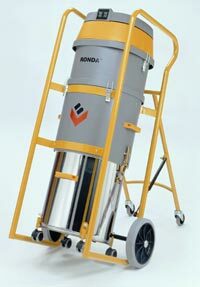 The RONDA 400 is a handy and robust machine with a large, continuous suction capacity and a simple levered system for emptying. 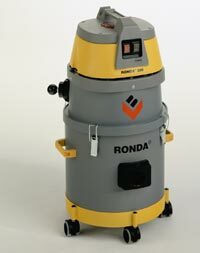 The RONDA 1200 is a powerful industrial vacuum cleaner of high quality and with a large filter which is both K1 and H2 approved. 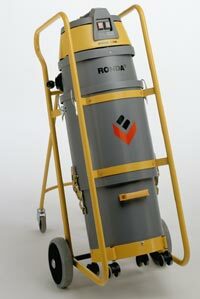 The RONDA 2000 is a heavy-duty industrial vacuum cleaner, suitable for vacuuming large quantities of fine or health-hazardous dust. Noise Level @ 13 ft. Noise Level @ 3 ft. 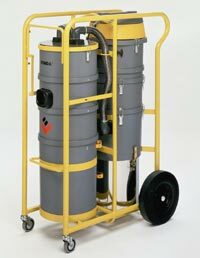 The RONDA 2400 is a highly effective dry dust vacuum cleaner for large areas such as warehousing facilities, production facilities, office areas, etc. with hard cement floors. 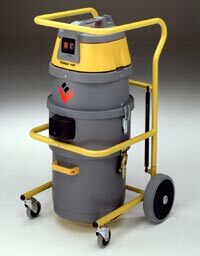 This machine is suitable for vacuuming large quantities of fine or heavy dust in applications requiring a continuous vacuuming ability and secure collection of the dust.